Parka jacket named “TROT” by Khujo (KJ2639JK183-TROT) in black color with hood. Made in slim fit with zipper fastening. Long parka jacket named “ROBINSON” by Khujo (KJ2588CO183-ROBINSON) in black color. It is very warm with inside lining. Made in slim fit with zipper fastening. 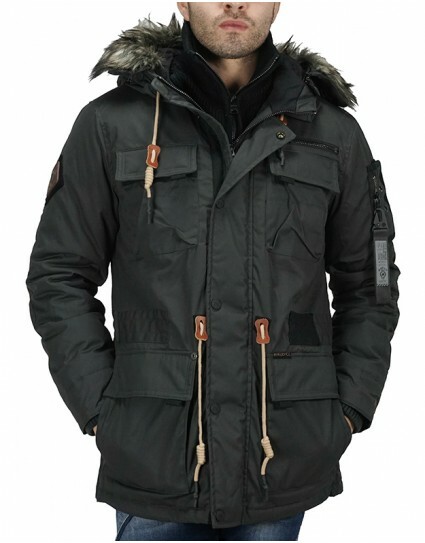 Puffer jacket named “CALLUX” by Khujo (KJ2368CO183-CALLUX) in black color. 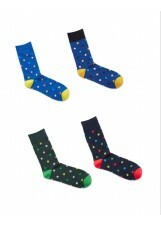 It is very warm made in slim fit with zipper fastening. 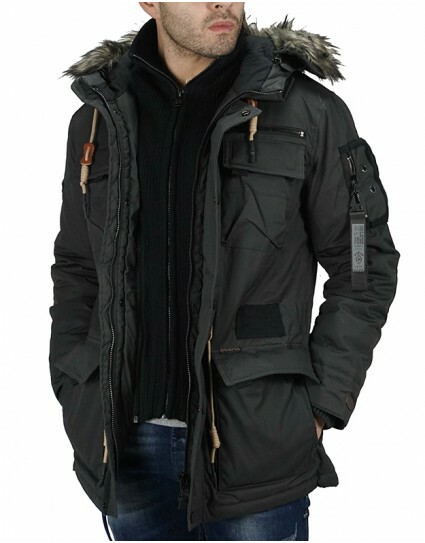 Parka jacket named “SETURN” by Khujo (KJ2625JK183-SETURN) in anthrachite grey color. It is very warm with inside lining. Made in slim fit with zipper fastening. Long parka jacket named “BIRD” by Khujo (KJ2068CO173_BIRD) in navy color with lace on the sleeves and hood with fur that can be removed. It has fur inside lining that goes until the waist and rope on the waist. Made in slim fit and it closes with zipper. Long jacket named “CARTER” by Khujo (KJ2114JK173_CARTER) in grey color with hood with fur, lace on the waist and large inside pockets. Made in regular fit and it closes with zipper. Long jacket named “CARTER” by Khujo (KJ2114JK173_CARTER) in khaki color with hood with fur, lace on the waist and large inside pockets. Made in regular fit and it closes with zipper.